With only a home printer you can make professional ID Badges at home, in your office, or on the go. 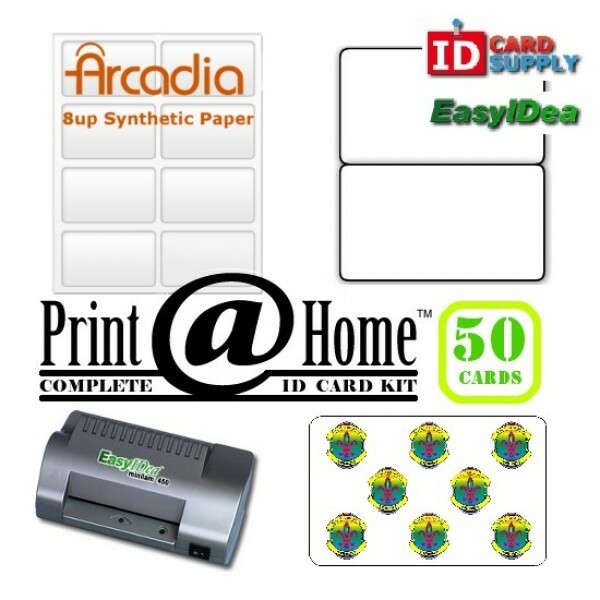 This kit by easyIDea includes 7 sheets of Arcadia 8-Up synthetic paper, 50 glossy butterfly pouches, 50 Official Seal Holographic Overlays, and the easyIDea 4.5" Laminator with temperature control. You won't find a better deal than this! All materials included are premium supplies made by the easyIDea brand. This ensures your ID making process will run smoothly and your ID cards will last the test of time and use. Order yours today!